BSF Notification 2018.Border Security Force (BSF)has released a notification for the recruitment of Group-B and Group-C posts namely Senior Aircraft mechanic, senior aircraft radio mechanic, assistant aircraft mechanic, senior flight gunner, junior senior flight gunner etc vacancies.Check the eligiblity and notification prior to apply for the positions. Officials under the central government with minimum experience in regular service can apply. Maximum upper age limit for applicants is 52 years. Selected candidates as Sr. Aircraft mechanic, radio mechanic. flight gunner, inspector will get pay in the level 7. Selected candidates as joint aircraft mechanic, Jr. Flight gunner, SI will get pay in the level 6. Selected candidates assistant aircraft mechanic Group-C will get pay in the level 5. Selected candidates as Head Constable will get pay in the level 4. Selected candidates as constable will get pay in the level 3. Mode of applying for BSF recruitment is through offline mode. 12th November 2018 is the last date to submit applications. 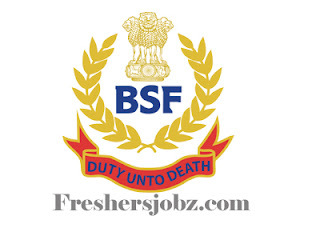 http://www.bsf.nic.in/ is the link to download application form and send to below given address.